This sweet mild custom EJ belongs to Simon Telford, a bloke who spends his days (and some nights) toiling away in the office at Street Machine. While EHs are arguably much more popular, after spending some time both in and around the EJs of a couple of mates, I just can’t but agree that those lines on the rear quarters are seriously underrated. Which brings me to one of my favourite features of this car – those scallops are f***ing fantastic! 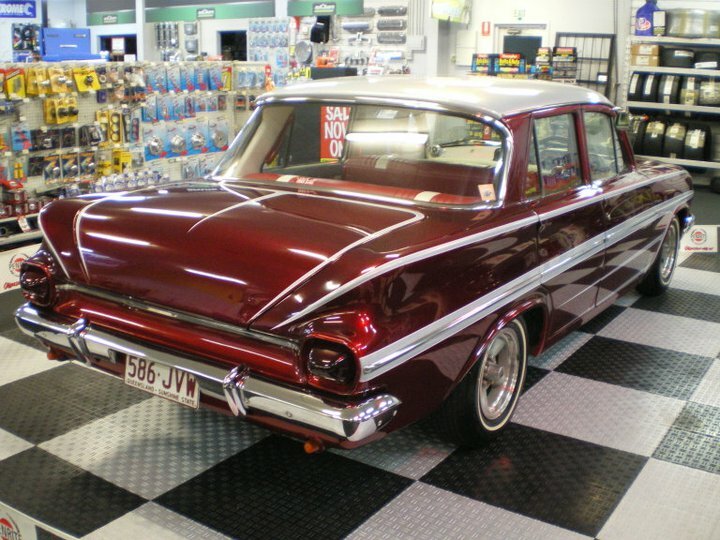 I subscribe to the theory that flames, scallops, pinstriping etc should all work with the lines and features of a car, and this EJ is a ripper of an example of that. Check out how the scallops highlight the shape of the rear quarters, boot lid, bonnet and even the side trim. It’s also got a bunch of other mods like shaved handles, bubble tail lights, filled bonnet peak etc. And you’ve got to love the grey motivation under the hood, and the 5 spokes and thin whites are the icing on a candy red cake. Yum. 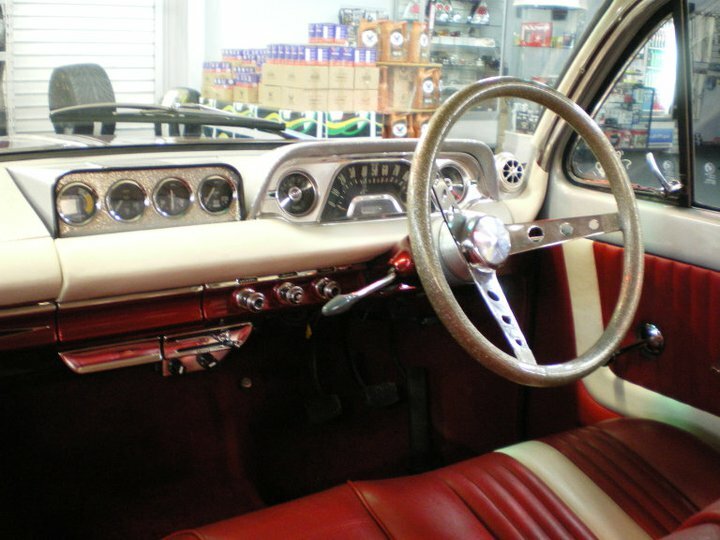 These pics were taken at AutObarn in Lawnton, where the car was recently on display. 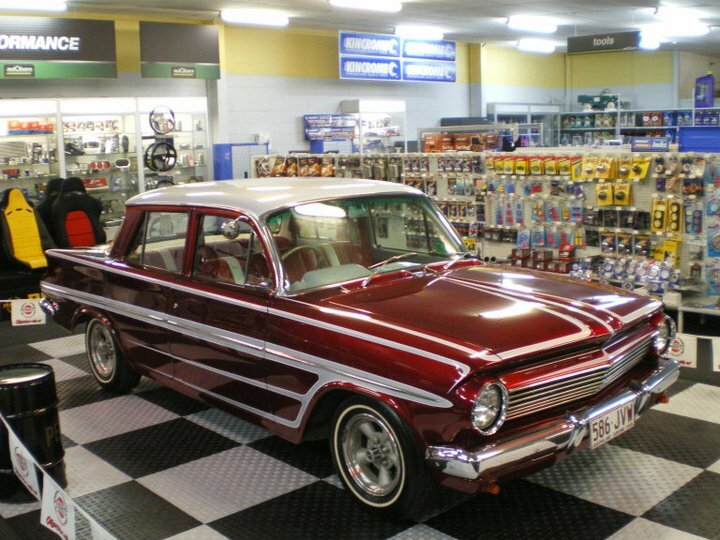 Looking at their facebook page, they’ve regularly got some cool rides in store – imagine Joe Bloggs reaction when he goes in there to buy a dashmat for his Camry and sees Little Mick’s Roth-like Moonrunner on display! Simon and his team have done an outstanding job on this beautiful car! The colours and lines are just stunning!